Hiking is one of the best ways to let go and get rid of some stress. For me, hiking is one of my passions and exploring what nature has to offer is something that just brings a smile to the face of many avid outdoorsmen. However, finding a decent hiking trail can be daunting, especially when looking for new trails in different countries. Here are Top 10 Trails In South Africa You Definitely Should Try. I set out and tried some of the top hiking trails in Africa, more specifically, Southern Africa to see which of them will be a great adventure and how hard they actually are to complete. These trails have been tested during my traveling times and here is what I have found out about each one of them. 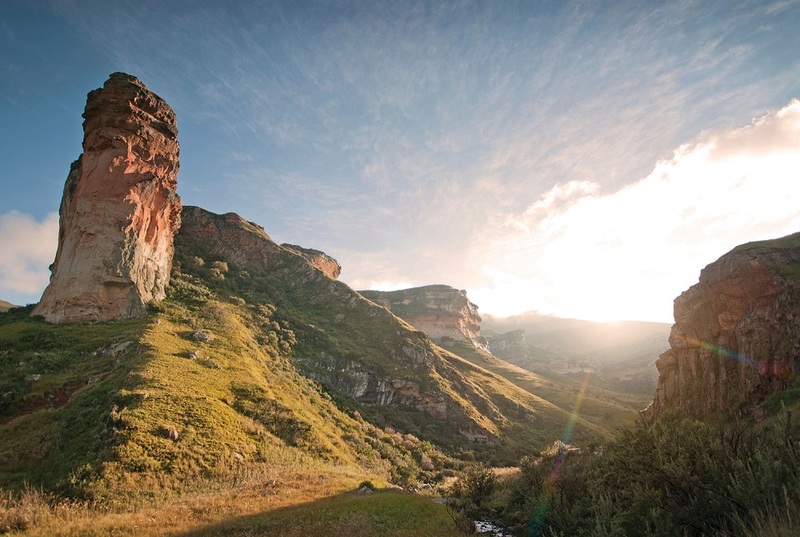 Located in the warm province of the Free State, this hiking trail is situated between the mountains and ravines of the Golden Gate National Park. During my expedition their, I found the 31km trail to be daunting with multiple ups and downs and fitness should be something to consider for this trail. With so many sites to see, this is great for the avid adventurer. 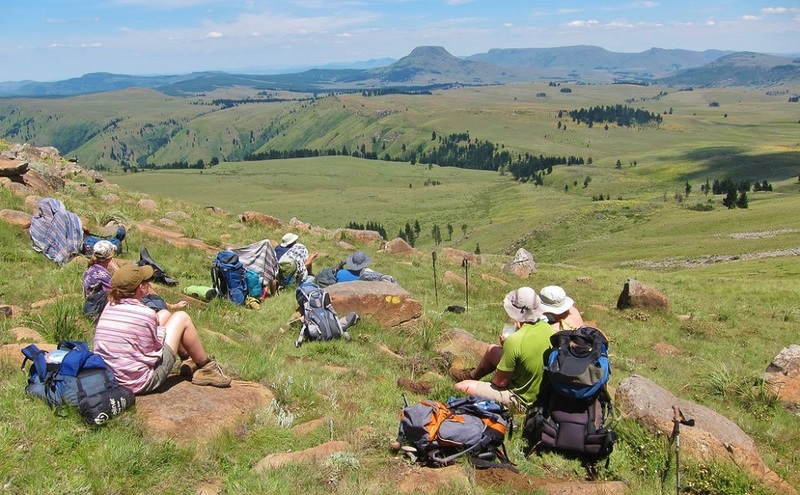 The Fanie Botha Hiking Trail is located in the beautiful mountain province of Mpumalanga. During my time on the 75km trail, we managed to see the Mac Mac Falls and many other smaller waterfalls. The trail is a little longer and you decide how long you want to take for completing the entire trail. It is worth mentioning, that fitness is recommended for this trail. A sleeping bag and backpacking gear will be one of your necessities for this trail. Located in the home province of Nelson Mandela, the Amatola Hiking trail will take you through the beauty of the Eastern Cape. The trail offers an array of mountains and rock pools and I have personally found the climbs to be rather steep. This 100km trail also puts a ton of strain on your body and is best for the fitter and more advanced hikers. 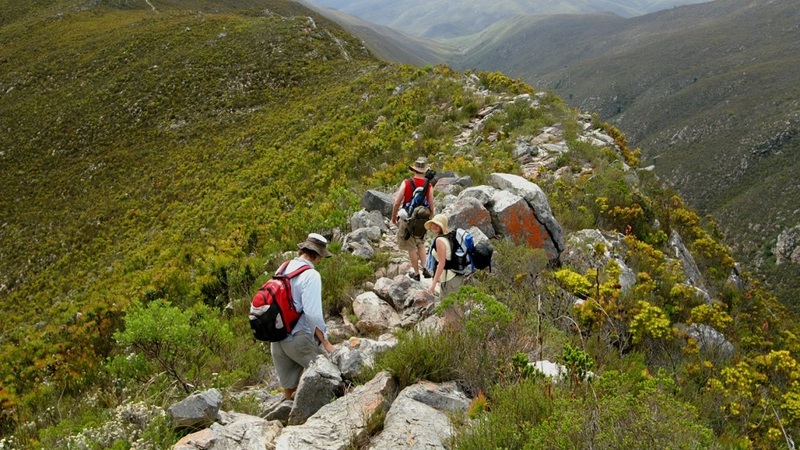 The Leopards Kloof Hiking trail is situated in the Western Cape and this Hiking trail is only around 3km. It takes you through the Harold Porter Botanical Gardens and is quite easy to do as well. We took on this simple hiking trail for the view and the spectacular sight from the mountains over the ocean. The trail will only be for the day. The Dolphin Hiking Trail is located in the Tsitsikamma National Park. This trail is only around 17km and will be ideal for the beginner. During my hike, I did not see the dolphins, but with this trail through the garden routes, you might be lucky enough to spot some during the right time of the year. Unfortunately, this is one of the most expensive trails to hike. The Skeleton Gorge Hiking trail is one of the most famous hiking trails for anyone looking to go up Table Mountain. The route is only around 6km and can be completed in a day or a couple of hours. I found the route to be rather easy as an avid hiker, but some of the mountains did prove tough for a few of the inexperienced hikers. However, once you finish, the view is spectacular. This hiking trail might be subject to availability due to some of the fires associated with the area, but flower lovers will love this part of the Garden Route. The trail is around 70km and we took 6 days to fully complete it. It is a rather daunting trail and not for the faint of heart, with heavy humidity that you need to deal with. Located in one of the most beautiful areas of Southern Africa, the Blyderivierpoort Hiking trail starts you off at God’s window and takes you through the 3rd largest canyon in the world, providing excellent photo opportunities with your hiking camera. This trail might seem daunting at 60km, but it is one of the most scenic views you will ever find. Hiking through the mountains proved a great time to get rid of some stress. The Whale Hiking Trail is definitely one of my all-time favorites and the trail is located in the Western Cape. This trail is rather easy with no real climbs or descents, but finding a chance might be hard as the trail is often booked months in advance. If you are lucky, you might be treated to seeing a couple of whales as well depending on the season. With extreme conditions, hiking in Southern Africa is not always easy, but it is worth it if you are a nature lover. The trails are rather daunting and the climate is unlike anything you are used to. However, the nature you will experience will leave you going home with a ton of great memories and perhaps even photos of once in a lifetime scenery. Taking on these trails have been a major fun experience, but if you love trying out new things and want to see some amazing places, South Africa should be at the top of your list. Really nice information and good experience for south africa most places. i like south africa destination and want to see these all places. I’m happy you enjoyed the post! I love Africa and would recommend it to anyone. Definitely go if you can!